The monster hit UK and Ireland Tour of SHREK THE MUSICAL is delighted to announce full casting as it enters its second triumphant year on the road. Coming direct from London, where it was seen live on stage by nearly a million people, the production has attracted huge audiences and five star reviews. SHREK THE MUSICAL® will play at the Liverpool Empire from 25th November to 6th December 2015 as part of its tour of the UK and Ireland. The UK & Ireland tour of SHREK THE MUSICAL is directed by Nigel Harman who starred as Lord Farquaad in the west end production, winning him the 2012 Laurence Olivier Award for Best Performance in a Supporting Role in a Musical. 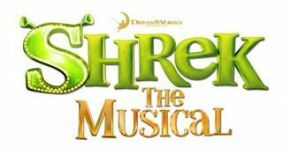 SHREK THE MUSICAL opened at the Grand Theatre in Leeds on Wednesday 23rd July 2014 and has since delighted audiences all around the country, and now it is Liverpool's turn.